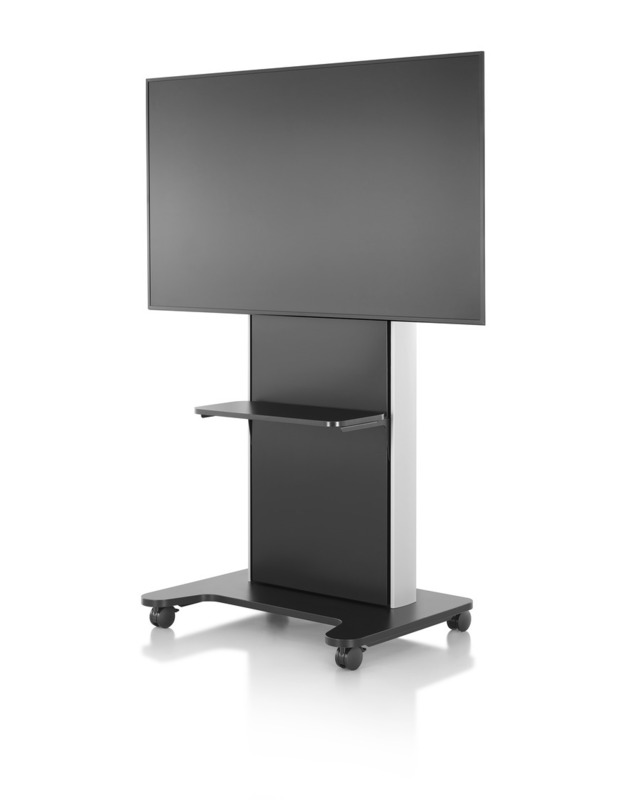 AV/VC One is an easy-to-use audio and visual support unit. 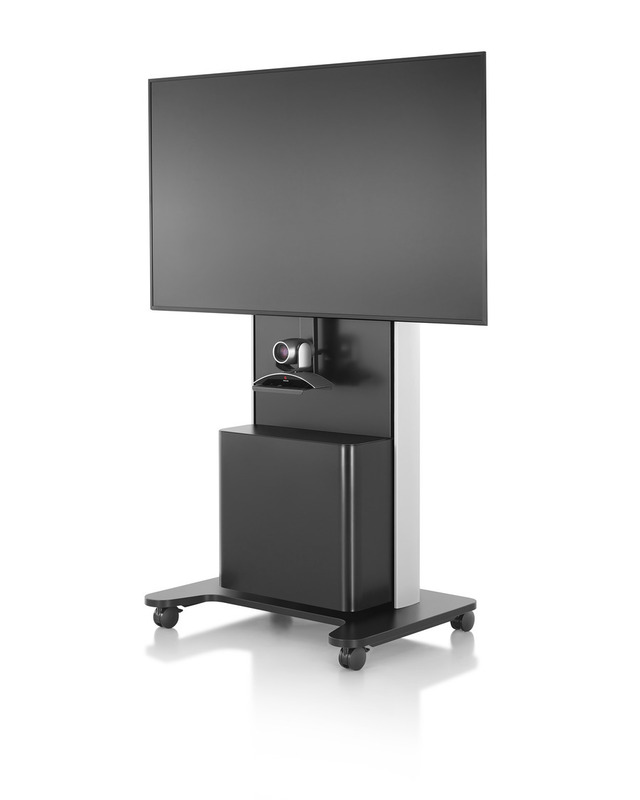 It supports the digital equipment people need for remote conferencing, presentations, collaborative review, or displays and signage. 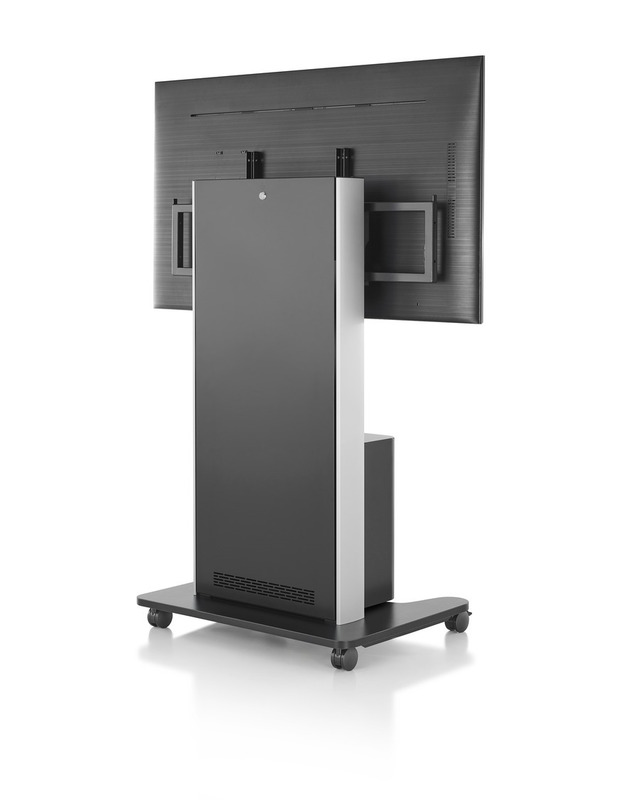 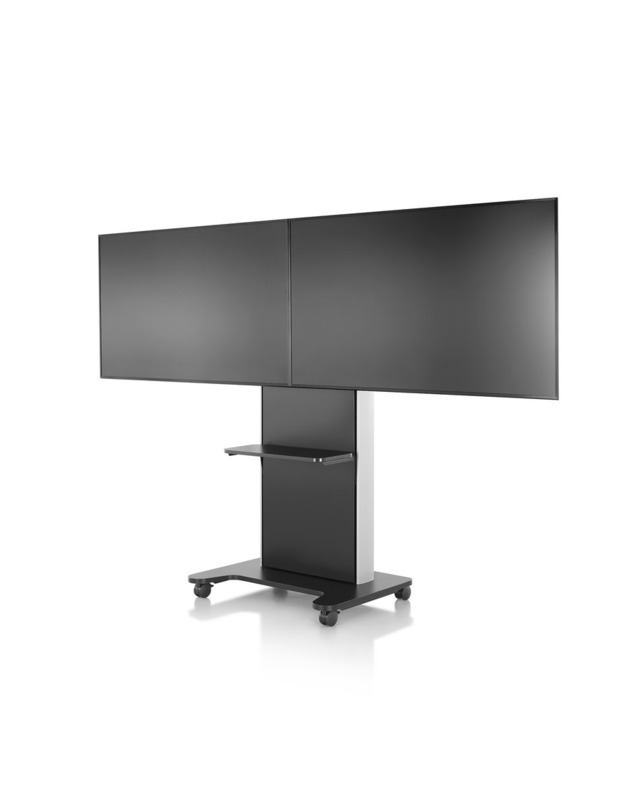 This cost-effective setup accommodates up to two monitors with a camera, giving meeting participants a better view of each other, the room, and presented material.